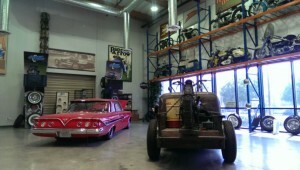 One each rat rod truck, rat bike, and ’60 Impala, plus great stuff on the walls. Initially, this will sound like a plug for a friend’s business, which it sort of kind of is, but I promise you there’s a free and easy payoff for you next time you’re in SoCal. Besides being a terribly high quality guy, Corky Coker is a consumate businessman of the first order. He recognizes need, then works until he fills it. 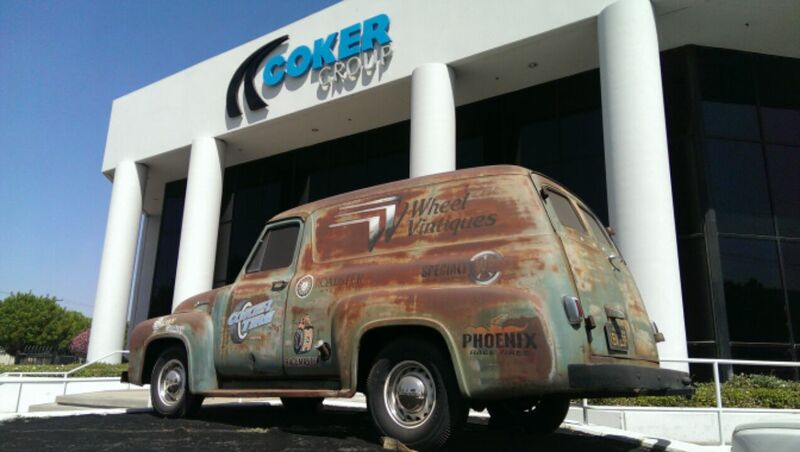 His original business is Coker Tires, which supplies a dizzying array of reproduction tires for vintage, classic, antique, sports, and muscle cars. Most of these tires are made from the original molds, so you get the right size and tread pattern produced with modern methods and materials. Need those Goodyear Polyglas GT white letters for your Boss 302? or perhaps proper looking and fitting Michelin XWXs for your Ferrari Daytona? Coker makes them. 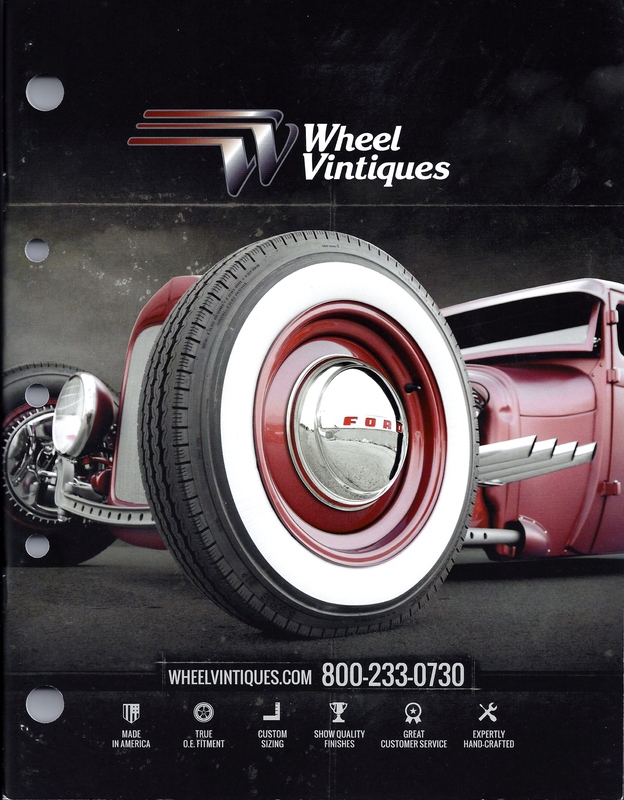 He’s since acquired a company called WheelVintiques, which, you guessed it, makes reproduction vintage wheels for a variety of OEM applications, muscle cars, hot rods, you name it. Beautiful high quality stuff. 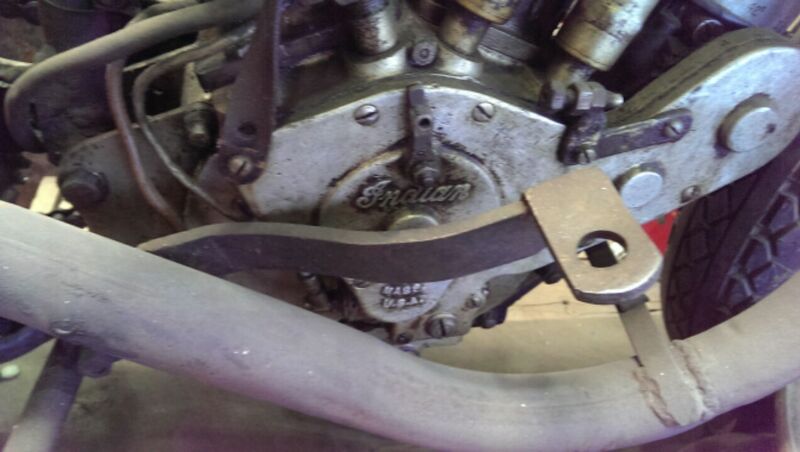 Again need those proper Magnum 500s for your Boss ’02? ’46 Ford hubcaps? 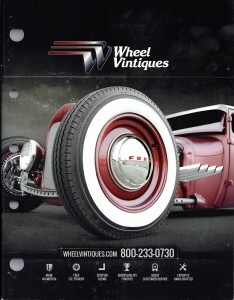 ’57 Chevy wheel covers? WV has them. Top quality, super authentic looking, made in the US. Corky has gone on to launch or acquire a small smorgasbord of similar type companies — want a chopper powered by a flathead Ford V-8 engine? Again a variety of companies with products designed for the enthusiasts, restorer, collector, hot rodder of whatever kind of car or bike fool you are. 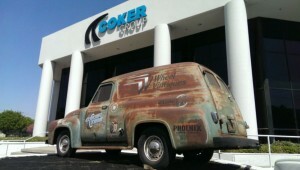 In Corky’s world, a ’54 Ford panel is the perfect sign for his building. And I agree. 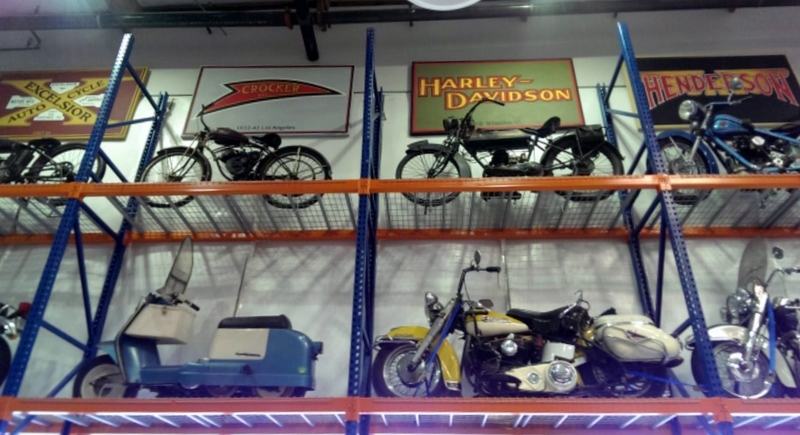 No matter, if you happen to be out near Interstate 10 and the 605 Freeway in the City of Industry, pay a visit to the Wheel Vintiques office and showroom, which is like a mini hot rod, wheel, and motorcycle museum. Its a 5-10 minute visit, there’s no cost, and you can pick up a catalog or buy a t-Shirt. Remember, this is their office, so be cool, ask nice, and say thank you. We’d all like to live in this place. Not only is everything dazzling, it’s immaculate and tastefully presented. Now please, don’t show up with 30 people and ask to have a picnic, but I’ll bet if you have a car club or small group you could make an appointment in advance for a quick visit. Call a few days before, and I bet they’ll accomodate you. 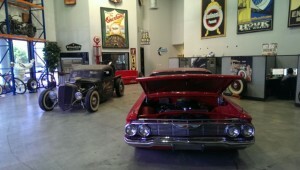 If its just a couple of ya, drop in and ask and I’m sure they’ll let you in for a cruise, catalog and a shirt. Like Bikes? So does Corky. Cool place and I want my office to look more like this one. You will too. And thanks, Corky, for all you’ve done to keep our old iron on the road, running safe, and looking right. 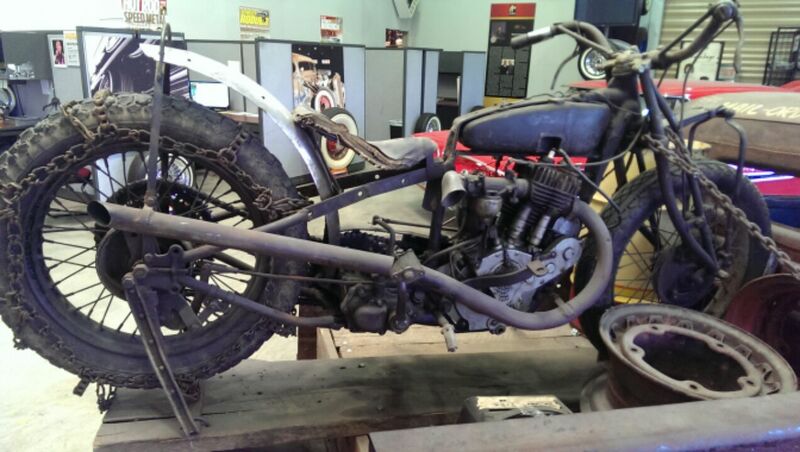 This one lung Indian has seen better days, but its a perfect piece of barn sculpture for the back of the rat rod truck on the showroom floor. Indian cycles. Made in the USA, and Steve McQueen’s favorite classic cycle.